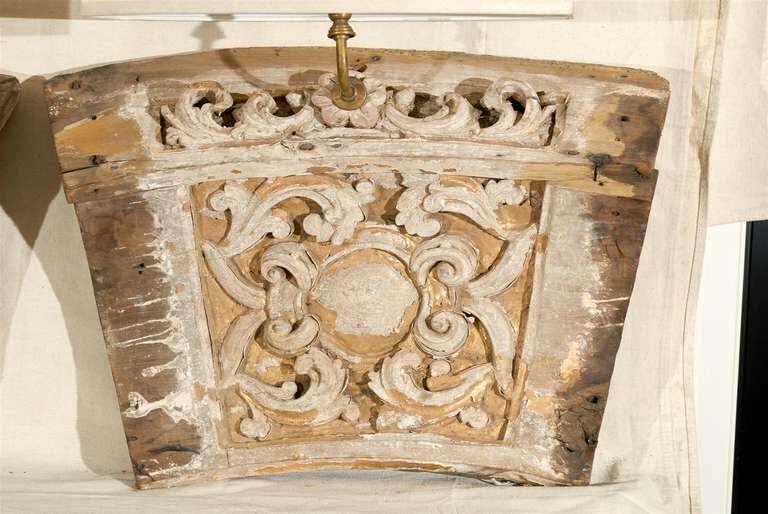 A single 19th century Italian wooden fragment made into a sconce with traces of gilding, paint and delicate carving. Very nice rustic yet quite elegant finish. The shades on the picture are an additional $150 each. If you are interested in the shades, let us know before purchasing and we'll adjust the price accordingly. 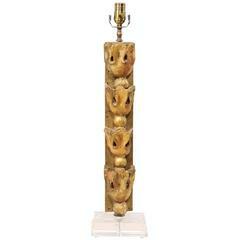 We have one sconce available. Good distressed condition, perfect for the look. 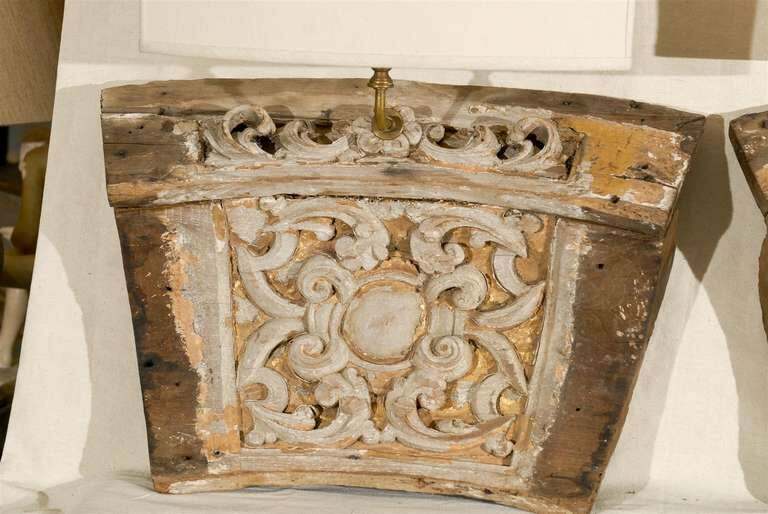 This pair of Italian sconces have been wired for the US. Please look at the various photos. 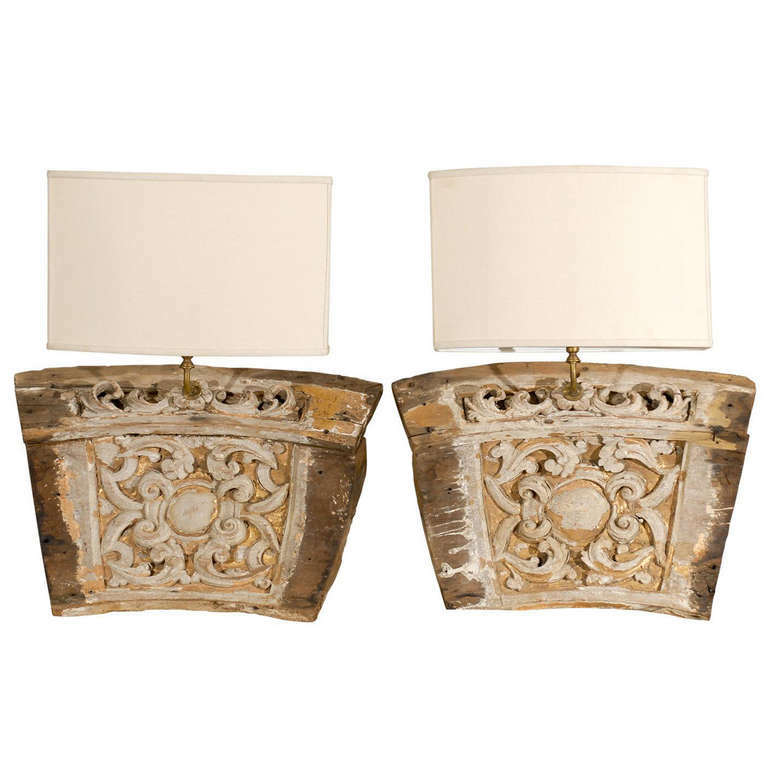 A pair of wall sconces made from antique 19th century hand-wrought iron architectural fragments. Newly wired and ready to use. 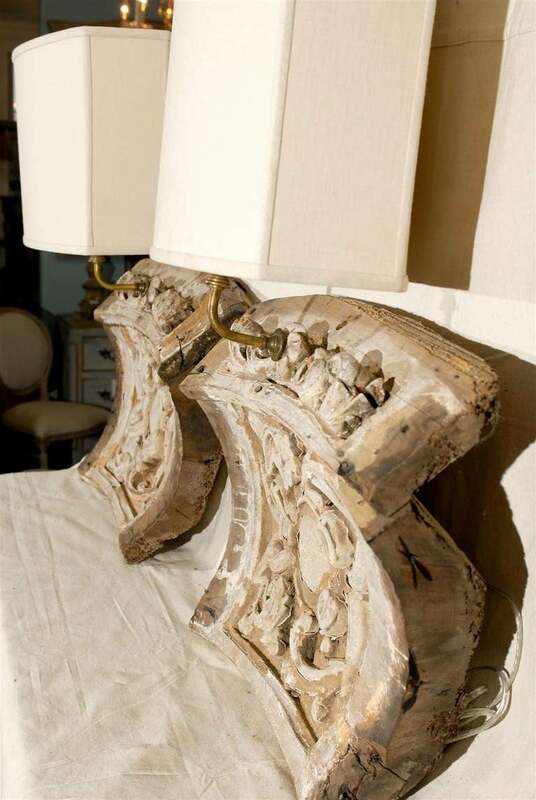 A pair of wall sconces made from antique 19th century cast iron fence finials. Newly wired and ready to use. 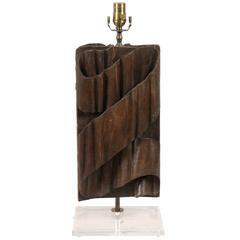 French 19th century large bronze single light sconce. Housing two lights each. Rewired and ready to hang. 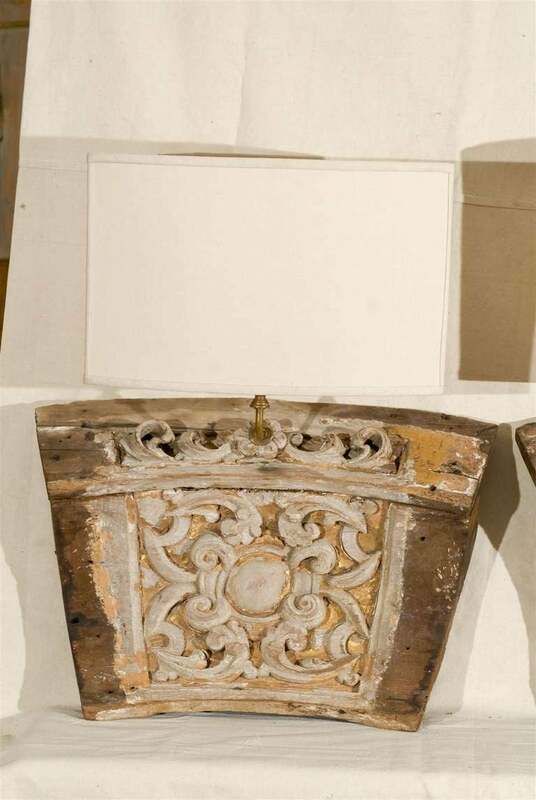 Giltwood surrounding original mirrors. Mirrors have silver missing. Original beads and tassels still intact. 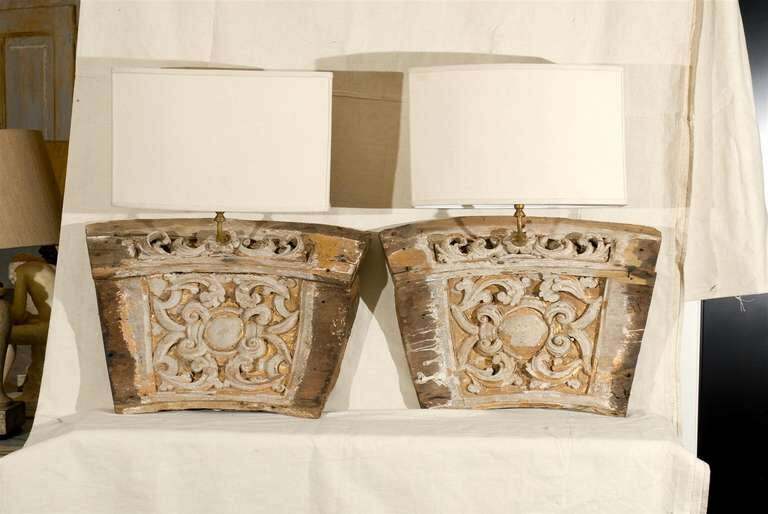 Mirrored two-light sconces. Can be re-wired for US use. 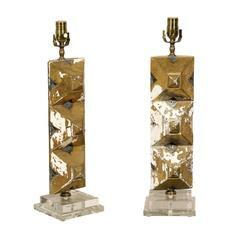 Two French small bronze single light sconces, 19th century. 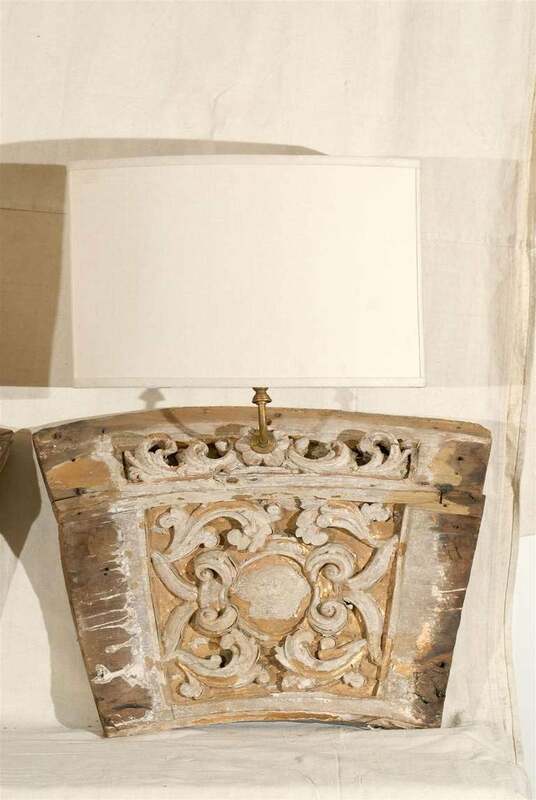 French 19th century hand-carved and hand-painted gesso and iron arms single sconce with 5 outer lights.